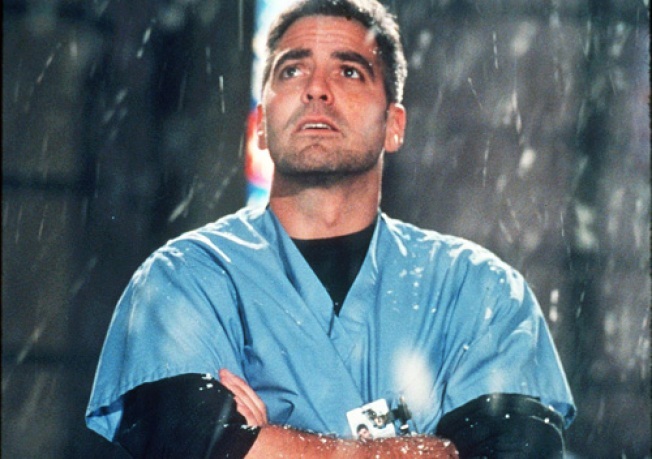 George Clooney will make a one-episode return to his TV alma mater, "ER." George Clooney will scrub up one more time for his final appearance on NBC drama "ER," guest-starring in an episode that will air March 12, the show's executive producer confirmed to People magazine. "If you're a fan of 'ER,' you won't want to miss this one," "ER" exec John Wells said. The episode will reunite the former Sexiest Man Alive with his ex-onscreen love Julianna Marguiles. The couple played doctor in the "ER" operating room for years, teasing audiences with their on-again, off-again romance. "Oh My God, He is the Sexiest Man Alive!" Wells would not confirm whether Marguiles' character, Carol Hathaway, would romantically reunite with Clooney's Dr. Doug Ross, but hinted that he would provide some closure for the couple. "I want their story to be very fulfilling in the end," he said. Susan Sarandon will also star on the March 12 episode in her "ER" debut, playing a grandmother whose grandson has recently died. Clooney left the show in 1999 to pursue other acting endeavors, and Marguiles departed the year after. The series finale of the medical drama, on NBC since 1994, will air April 2.